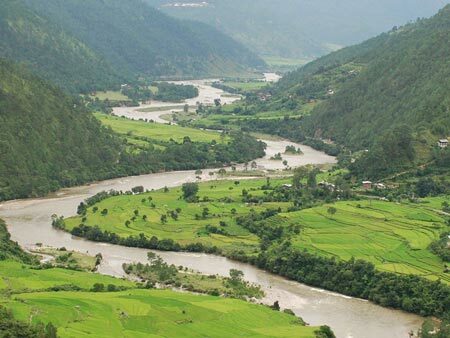 The country was originally known by many names including Lho Jong, ‘The Valleys of the South’, Lho Mon Kha Shi, ‘The Southern Mon Country of Four Approaches’, Lho Jong Men Jong, ‘The Southern Valleys of Medicinal Herbs and Lho Mon Tsenden Jong, ‘The Southern Mon Valleys where Sandlewood Grows’. 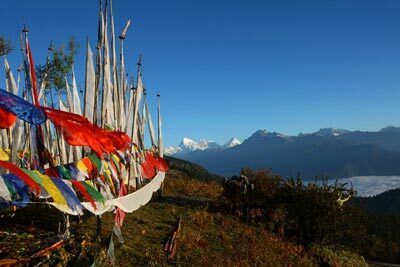 Mon was a term used by the Tibetans to refer to Mongoloid, non-Buddhist peoples that populated the Southern Himalayas. 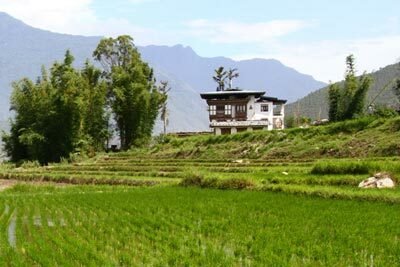 The country came to be known as Druk Yul or The Land of the Drukpas sometime in the 17th century. 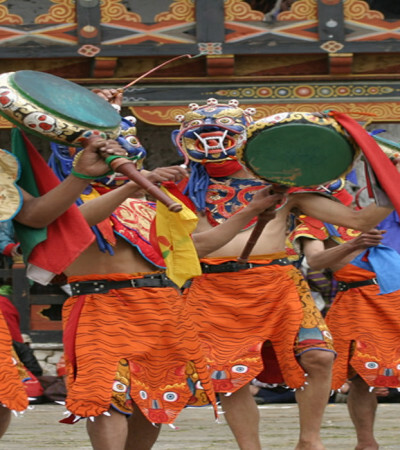 The name refers to the Drukpa sect of Buddhism that has been the dominant religion in the region since that period. 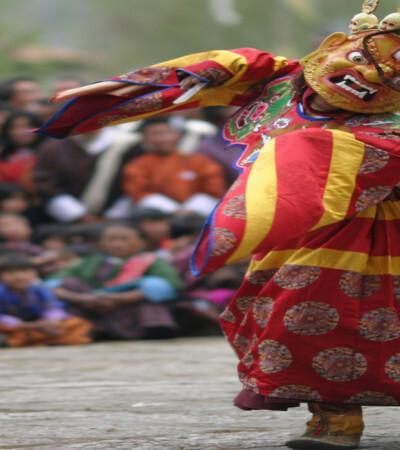 Initially Bonism (a pre-buddhist religion of Tibet) , was the dominant religion in the region that would come to be known as Bhutan. Buddhism was introduced in the 7th century by the Tibetan King Songtsen Gampo and was further strengthened by the arrival of Guru Rimpoche, a Buddhist Master that is widely considered to be the Second Buddha. 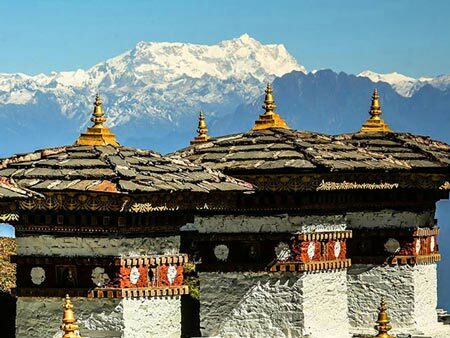 The country was first unified in 17th century by Zhabdrung Ngawang Namgyel. 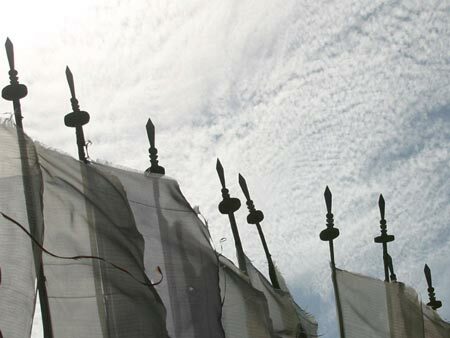 After arriving in Bhutan from Tibet he consolidated his power, defeated three Tibetan invasions and established a comprehensive system of law and governance. His system of rule eroded after his death and the country fell into in-fighting and civil war between the various local rulers. 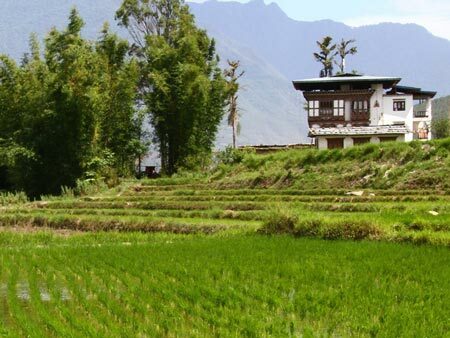 This continued until the Trongsa Penlop Ugyen Wangchuck was able to gain control and with the support of the people to establish himself as Bhutan’s first hereditary King in 1907. 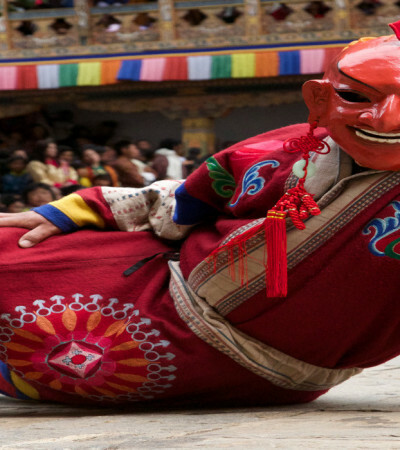 His Majesty Ugyen Wangchuck became the first Druk Gyalpo (Dragon King) and set up the Wangchuck Dynasty that still rules today. 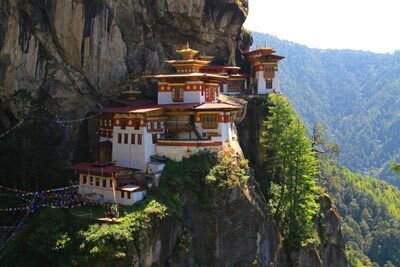 In 2008 Bhutan enacted its Constitution and converted to a democracy in order to better safeguard the rights of its citizens. 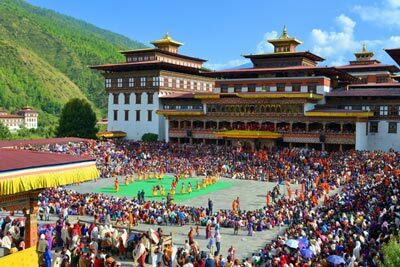 Later in November of the same year, the current reigning 5th Druk Gyalpo Jigme Khesar Namgyel Wangchuck was crowned. 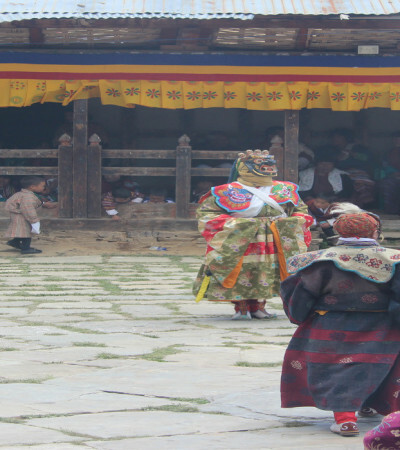 Dungmed Tshechu takes place in Dungmed Lhakhang in Dungmin, Pemagatshel. 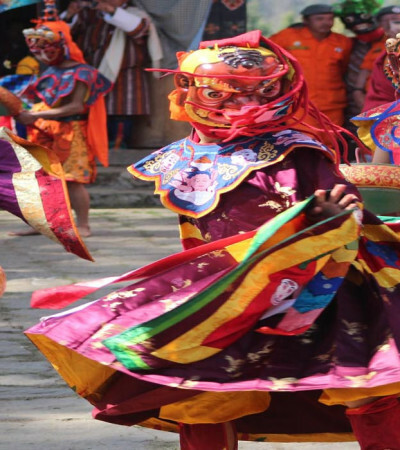 Different mask dances and cultural programs are displayed to the public.